I can’t believe this is my fifth installment of Female Filmmaker Friday! I hope you guys have enjoyed the previous installments. 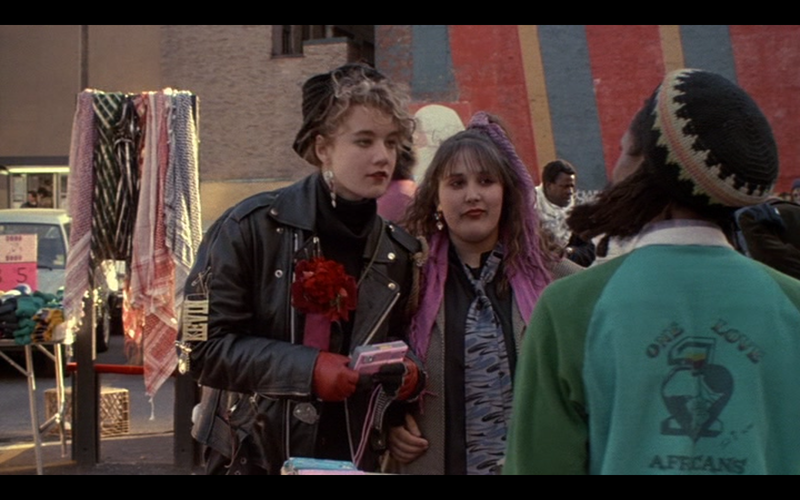 This is week four on the 80s films of Susan Seidelman. Next week I will be doing my final entry on her films – on She-Devil, and oh boy do I have lots of (good) things to say about that gem! 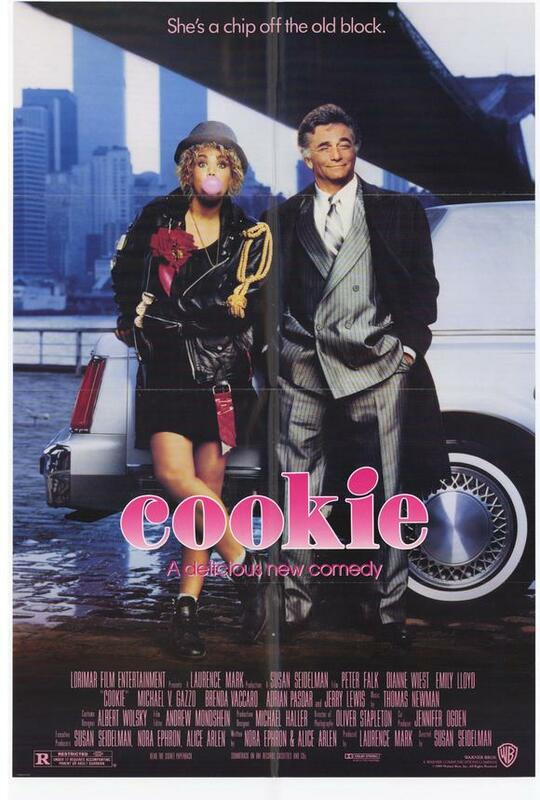 But before I get to that one, let’s talk about her earlier film from 1989 – Cookie. 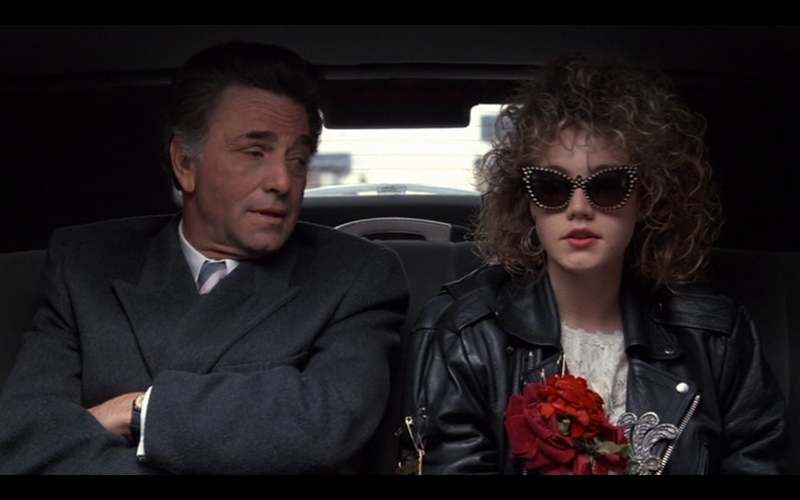 The basic plot is as follows: Cookie (Emily Lloyd) is the teenage (but post-high school I believe) daughter of gangster Dino (Peter Falk) and his mistress Lenore (Dianne Wiest). When Dino gets released from jail after 13 years – most of Cookie’s life – he decides he wants to go straight and, after Lenore asks him to do so, get to know his daughter better. This, of course, goes awry because of his previous business partners and his wife who refuses to divorce him. There’s some great cameos in the film from Jerry Lewis and Lionel Stander (in one of his last roles). Cookie is a variation on the Wren from Smithereens and Susan from Desperately Seeking Susan, except this time she’s from Long Island. She’s savvy and she’s very much a child of D.Y.I. culture and her best friend is none other than Ricki Lake! 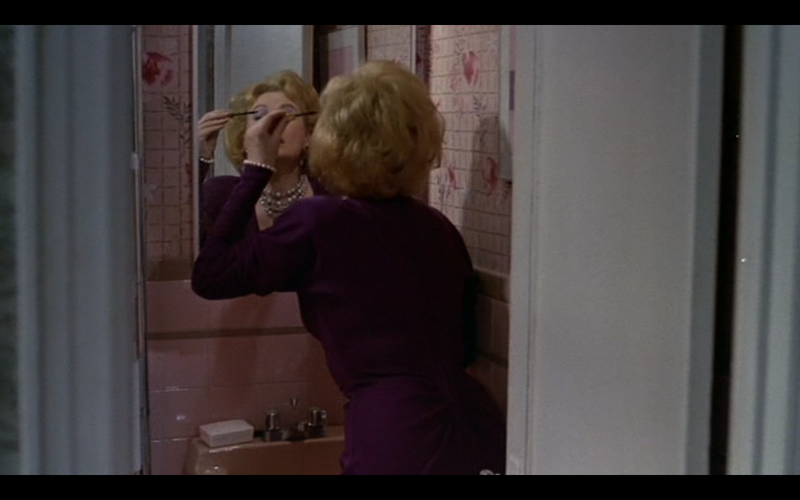 One of the recurring images in all of Seidelman’s films is women applying makeup, or grooming of some sort. Usually, it’s the “unpretty” moments in the process of becoming “pretty.” I’ll be discussing this further when I write about next week’s film, but for now I will say I really dig this. While Cookie should be the film’s main character, it’s hard not to care more about the plight of her parents when they’re played by such tremendous actors with unbelievable chemistry. This film was released three years after Wiest’s Academy Award winning turn in Hannah and Her Sisters and was released a few weeks after Parenthood, for which Wiest would receive her second Academy Award nomination. 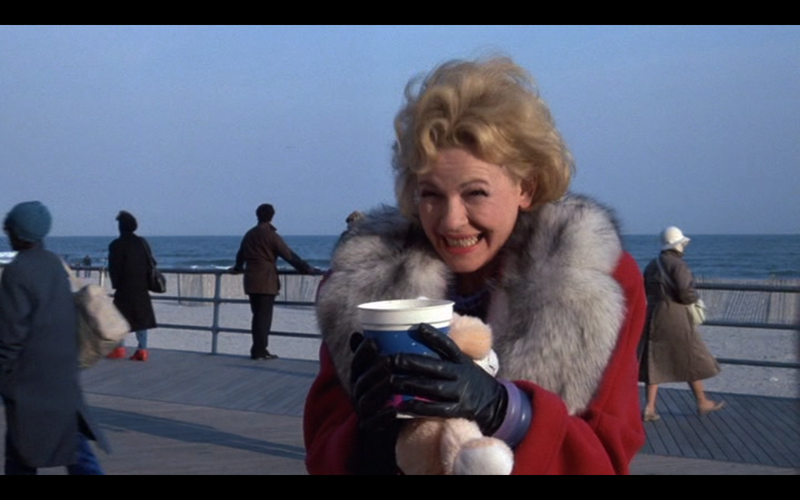 She is so cute in this film and what I particularly like about this character and her performance is that often this kind of character would be a “bimbo” or “helpless.” Lenore is bright and bubbly, but she is far from helpless. She’s just as savvy as Dino or her daughter, despite what her daughter might think. While the idea of a woman in love waiting for a man in a post-feminist world can be seen as taboo, we see the whole picture. We see a woman who pushed through the stigma of a single, unwed mother to build a life for her child and a woman who loved so completely that the passage of thirteen years did little to diminish the feeling. She’s a wonderful character, full of rich layers brought beautifully to life by Wiest. I also like the idea of angsty father/daughter relationship. The strife these two go through is usually portrayed through father/son relationships; the son going to work, the son getting his life together, the son not wanting to be like the father. And if you get a father/daughter relationship, it’s often the daughter being forced to marry, the daughter not wanting to be like the mother, etc. What we have here is a nice subversion of those cliches. We have a daughter put to work, a daughter who curses like a sailor, a daughter who stands up to what she sees as a deadbeat father. While the character of Cookie is most definitely her own woman, I like that you can see the facets of both her parents reflecting in the kind of woman she is. 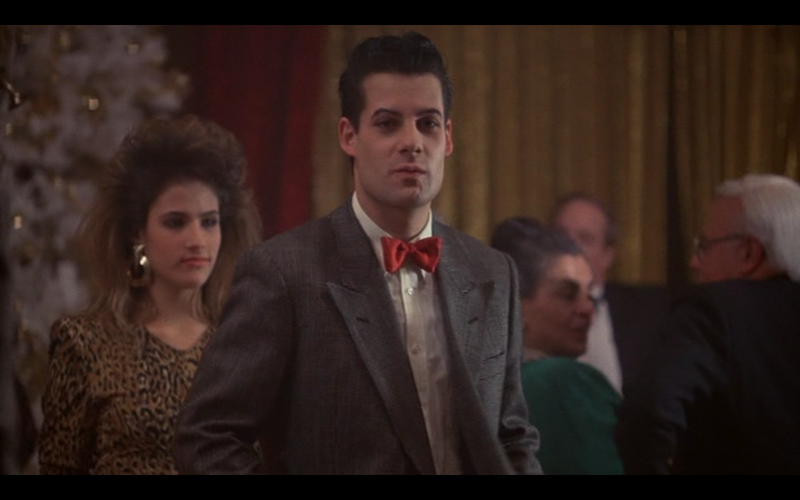 Just want to throw out there that I wish Adrian Pasdar had played Tony Curtis early on in his career. Also, his character is a nice subversion of expectations as well. He’s one of the lackeys in Cookie’s father’s business, and the two are flirty and occasionally he tries to “protect” her, but mostly Cookie puts him in his place. She doesn’t need his flirtations, she doesn’t need his protection and she knows what she’s doing way more than people give her credit. 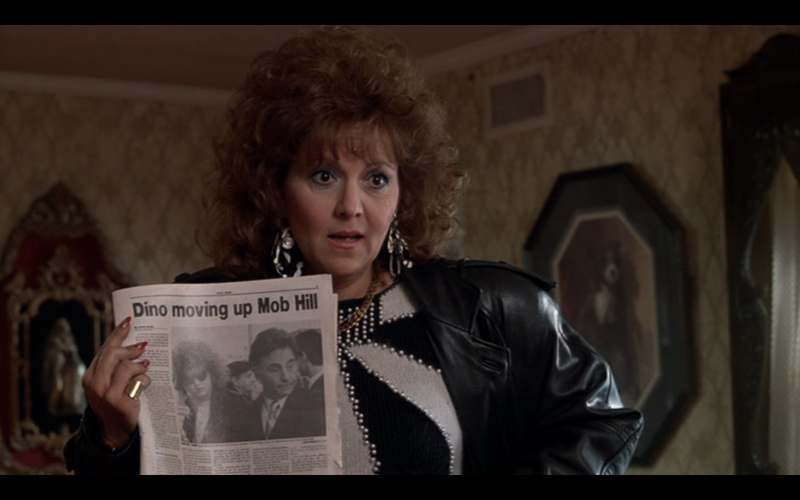 Dino’s wife Bunny is played by Brenda Vaccaro, who is probably best remembered for her work in Midnight Cowboy. Bunny is another tough woman who takes her life into her own hands. In order to support herself after Dino goes to prison, she opens a pet grooming and boarding business in their house. 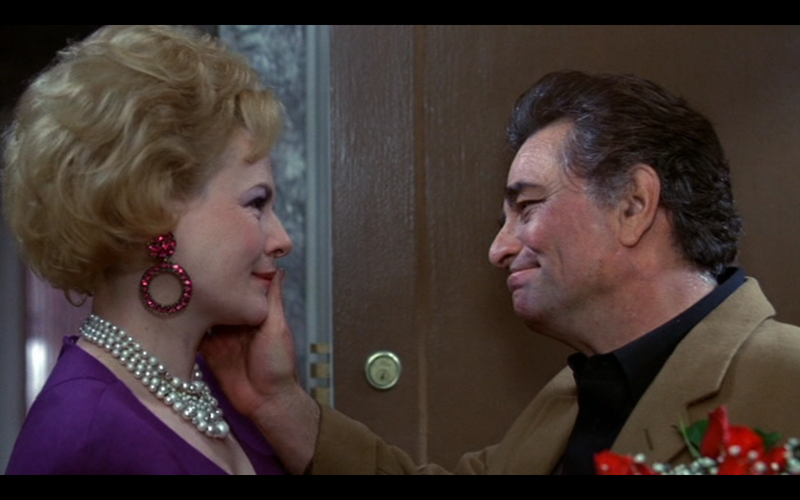 This adds for some really great moments of comedy throughout the film. But what I really enjoy about the film is that all three of the women don’t really need the man for support. They’ve all figured out how to live without him. When he comes back, the only one who really missed him was Lenore, but she needs him for emotional, not economic reasons. I think these bits of feminism were so subtle – and so like real life – that their impact was too small for many critics to notice. How many other films about gangsters can you think of that really show the women in the men’s lives as fully realized women like this? 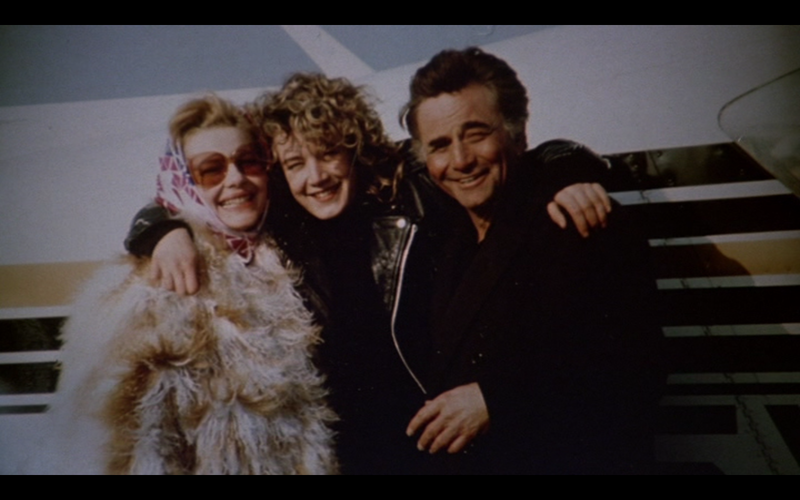 Often you get little scenes (I’m thinking of the first scene with Lorraine Bracco in Goodfellas), but you don’t really get to see much of the women. If only there were more films like this that are mostly women – or at least 50/50 – but without being stigmatized as “women’s films” or “chick flicks.” But also, wouldn’t it be nice if “women’s films” and “chick flicks” weren’t stigmatized in the first place? If only we’d stop having men as the default and women as the specialized other. But I digress. During the course of the film, Dino’s attempts to get out of the business get further and further derailed (I won’t spoil it), and it’s Cookie who ultimately comes up with the solution. I love this shot so much. Gimme more gender-switched costuming! Obviously, since this is a comedy, everything works out in the end and actually it has the traditional ending to a comedy (a wedding, but I won’t tell you whose.) Cookie a great little misunderstood film that has more to say than its given credit and is definitely worth a reevaluation by those who panned it during its initial release. Posted on February 21, 2014, in Female Filmmaker Friday and tagged 1989, Adrian Pasdar, Brenda Vaccaro, Cookie, Dianne Wiest, Emily Lloyd, Peter Falk, Susan Seidelman. Bookmark the permalink. 7 Comments.